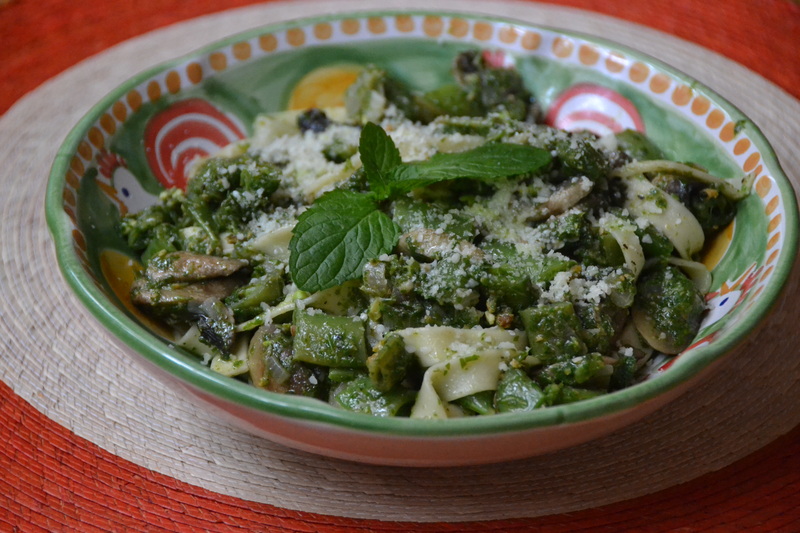 I love peppery arugula and it makes a great pesto when blended with olive oil, pine nuts and parmesan. 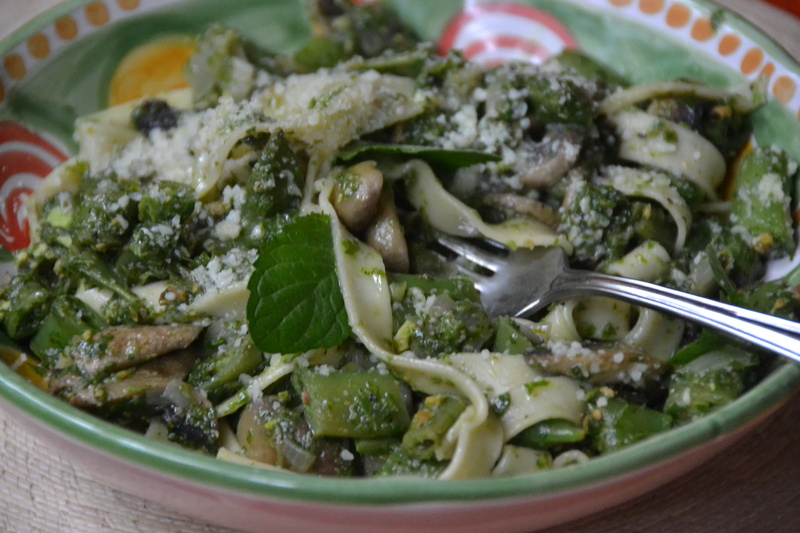 I addd mushrooms and sugar snap peas to my fresh pasta to make a flavorful meatless dinner. You can snap off the stems of the snap peas and then pull string that runs the length of the pod if you desire. This doesn’t bother me so I don’t bother with the step. If you like mint, you can add 1/4-1/2 cup mint leaves to your pesto for a nice change. Looks delicious and easy, fresh ingredients. Nice switch from Basil pesto.